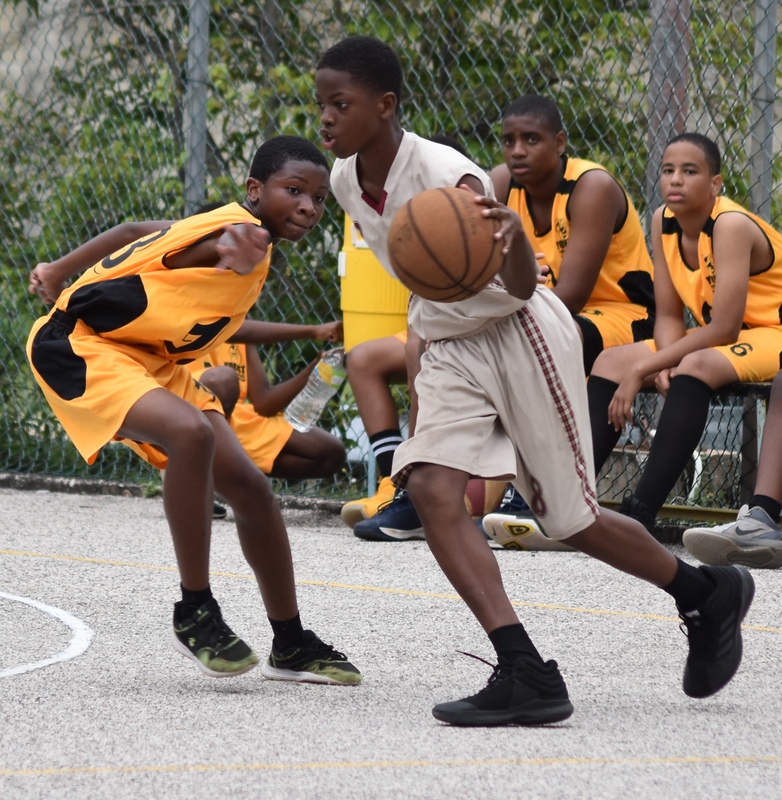 St. James continued their impressive stroll through the preliminary rounds of the ISSA Western Conference Under-14 Basketball Competition and punched their tickets to the semi-finals after remaining undefeated after eight rounds of games. At the Montego Bay Cricket Club, St. James High, former beating sticks of the Conference, chalked up a 55-31 victory over York Castle to remain the only undefeated team. The latest victory lifts the St. James High team to 16 points; opening up a five-point lead over defending champions and second-positioned Herbert Morrison Technical High. Malike Marston was the star scorer for the winners, sinking 14 points as they led from start to finish in the contest getting in double digits for all but the second quarter of the affair. Despite being kept off the scoreboard for the entire opening quarter, Ricky Richards had a game-high 16 for losing York Castle. In the first game of the double header at the Cricket Club, Holland High coasted by Muschett 32-10 in the Trelawny derby, improving their record to 2-4 with Muschett remaining with just a solitary victory. Elsewhere, struggling champs, Herbert, exacted revenge on their bitter city rivals, outscoring them 20-14 in an uninspiring and low-scoring encounter at Bogue. Darren McFarlane with 5 points, four blocks and 10 rebounds led the scoring for the Herbert team. Shemar Martin of Cornwall starred for his team with 5 points, 5 rebounds and 9 steals. Just two rounds of games remain ahead of the semi-finals.